Rheumatoid arthritis (RA) is a long-term chronic disease that causes inflammation of the joints and surrounding tissues. It can also affect other organs. Rheumatoid arthritis treatment in New York at AmitaUSA provides with the best treatment approach that would target your specific problem and would not only heal the symptoms but would target the causes. RA destroys the protective tissue (cartilage) surrounding the joints. Healthy cartilage allows bones to glide smoothly over one another and absorbs the shock of physical movement. With RA, the cartilage breaks down and wears away. As a result, the bones rub together. Patients with this disease have joint swelling, pain, and stiffness. RA usually requires lifelong treatment, including various medications, physical therapy, education, and possibly surgery. Treatment is aimed at relieving symptoms and preserving joint function. 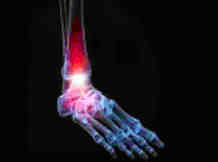 RA is associated with many complications. 1.Acupuncture and acupressure: Acupuncture can be used as a supportive treatment with conventional medical therapy. Spinal and joint acupressure decreases pain and enhances joint mobility when used in between flare-ups for patients with RA. While traditional guidelines have restricted RA patients to only gentle exercise, research suggests that stretching exercises may not only be safe, but may actually produce greater muscle strength and overall functioning. In one small study, men and women with RA had improved grip strength in their hands after practicing yoga for only 15 days. Women in this study showed greater improvements than men. Signs from your body are the best guides for how long or hard you should exercise. If you feel sharp pains while exercising, stop immediately. If lesser aches and pains continue for more than 2 hours afterwards, then try a lighter exercise program for a while. Using large joints instead of small ones for ordinary tasks can help relieve pressure. For example, use your hip to close doors or the palm of your hand to push buttons. 3.Micro-Current therapy: Studies suggest that as little as 3 hours of Micro-Cuprrent therapy over 6 weeks improves the symptoms of patients with RA. AmitaUSA located in Brooklyn, New York is the best place to get micro current therapy due to our top notch equipment and an individual approach we create for every patient. 4.Mind/Body Medicine: A holistic approach to your care may positively affect both your lifestyle and how you feel overall. Many patients report that relaxation techniques, such as chakra balancing and meditation are an important part of general care and help alleviate pain and other symptoms of RA.